← Sarah Silverman On Your Voice Mail! 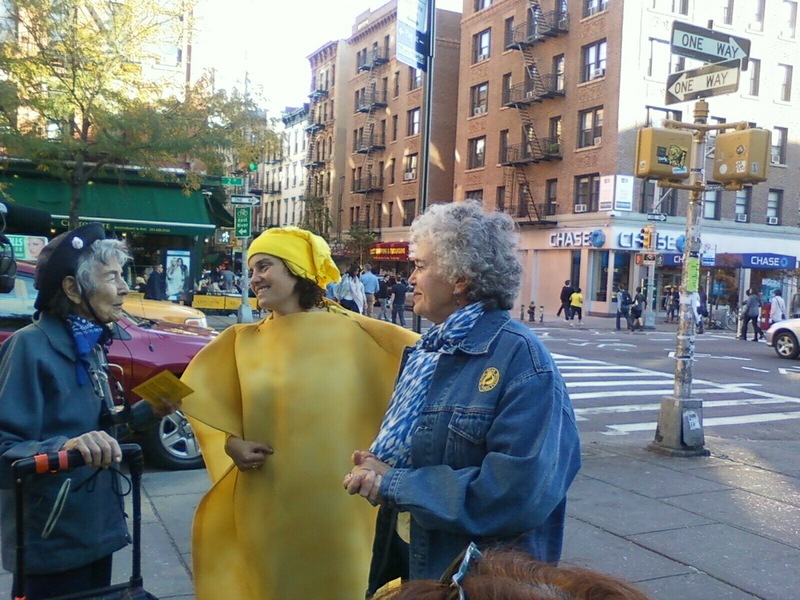 If you happened to be walking down Second Avenue in New York’s East Village last Sunday afternoon, you might have seen an unexpected sight: a small and solemn processional of people dressed in yellow. This was no McDonald’s protest or cheese parade. Instead, it was a celebration and memorialization of an oft-forgotten history. In the 1920s, Second Avenue—then part of the Jewish Lower East Side– was known for two things: Yiddish theater and food. Artistically, it rivaled Broadway in its offerings, putting on plays by renowned playwrights such as Leo Tolstoy and George Bernard Shaw even before they reached mainstream American audiences. So great was its popularity that when Yiddish theater great Jacob P. Adler, father of famed acting coach Stella Adler, died in 1926, two thousand people flooded the streets to pay homage. Its popular restaurants with traditional foods such as knishes gave Second Avenue its other nickname, Knish Alley. Its reputation as street-foodie heaven was sealed when Abe Lebewohl opened the 2nd Avenue Deli at the corner of East 10th Street and Second Avenue in 1954. 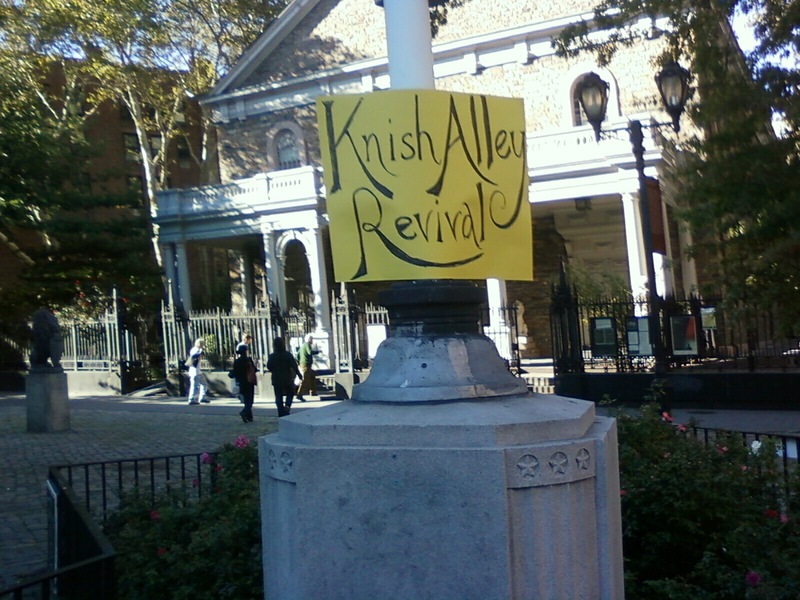 But more than just a favorite food, the knish also played, as it still does, an important role in politics. Politicians and their wives, including Eleanor Roosevelt, would often stop by Jewish bakeries and buy knishes to cultivate the Jewish vote. This entry was posted in Arts & Culture, Culture, History and tagged 2nd Avenue, Jacob Adler, Knishes, Lower East Side, Second Avenue, Stella Adler, Yiddish theater, Yonah Schimmel. Bookmark the permalink. And the story doesn’t end here. It’s actually part of The Book of Knish: Loss, Longing and the Search for a Humble Hunk of Dough and a Kickstarter campaign, now through Nov 1.
and for the love of the knish, and it’s important history, check out Ms. Silver’s kickstarter campaign!